Grew Up… around the backwaters of Arkansas, where Mud first met and fell in love with the beautiful Juniper. Most of his early life was spent getting into one kind of trouble or the other. Plus, he just couldn’t stay away from Juniper no matter how many headaches she caused him. Living… hiding out on a tiny island in the backwaters of Arkansas, after killing the man who abused the love of his life: Juniper. Now, the police and dead man’s family are hunting Mud down – forcing him to take refuge on the small island. That’s where he’s discovered by two teenagers, Ellis and Nick. Interests… superstition, tall-tales, and love. 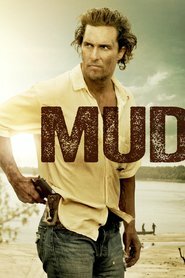 Mud’s a simple man who was raised to put faith in a variety of external and uncontrollable forces, which a man has to struggle to capitalize on. As he describes it, “There are fierce powers at work in the world. Good, evil, poor luck, best luck. As men, we’ve got to take advantage where we can.” He spends his time looking for portents and signs, and struggling to survive in a life that’s been far from easy. Relationship Status… hopelessly in love with Juniper. He describes his feelings as a “dream you don’t wanna wake up from.” The two first met when they were just kids, and have had a passionate on-and-off affair ever since. It seemed that their relationship was finally over when the son of King Carver impregnated Juniper, but that union ended when King Carver’s son threw her down the stairs in a fit of rage, terminating the pregnancy. Enraged, Mud killed him, and now hopes to convince Juniper to run away with him to Mexico. Challenge… avoiding retribution for killing the son of notorious crime lord King Carver. Not only are the police looking for Mud, but he’s also the target of a legion of bounty hunters and lowlifes. It’d be hard enough to sneak away if Mud was simply focused on survival, but his determination to end up with Juniper complicates matters more. He’s stayed around longer than he should, essentially risking everything in order to be with his beloved. Since Mud can’t venture into the outside world, he’s had to rely on two boys who stumbled across his hiding spot – Ellis and Nick – in order to get supplies and communicate with Juniper. Personality… stubborn, superstitious, and romantic. At a glance Mud isn’t a very glamorous figure. He’s dirty, unkempt, and aside from a pistol and his lucky shirt, has hardly a possession to his name. Still, he manages to capture the admiration of the two boys he met through his burning, unyielding love to Juniper. In the face of all his obstacles, Mud is steadfast in his commitment to the woman who has hurt him time and time again. You’d never call Mud an educated man, but he possesses the kind of homegrown wisdom that accompanies a life of close calls and uncertainty. It is also worth noting his sense of loyalty and honor – Mud will risk his life for anyone he considers a friend. Mud's popularity ranking on CharacTour is #4627 out of 5,000+ characters. See our top-ranked characters and read their profiles.